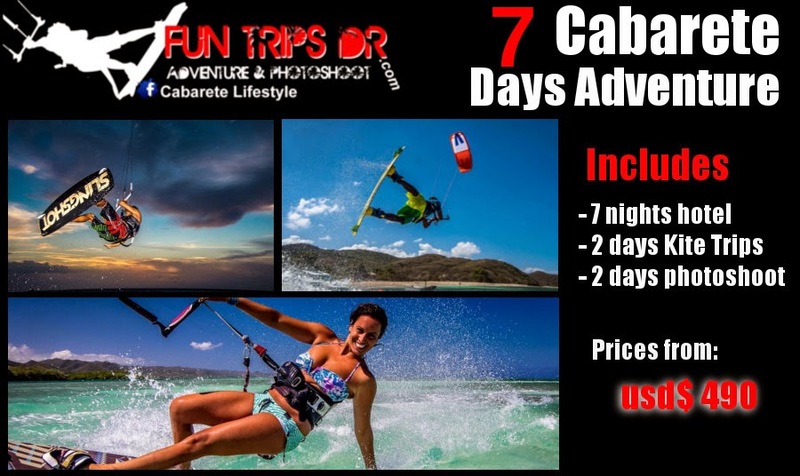 Cabarete Kiteboarding Special Deals ! If you are dreaming of adventure, this trip is for you! Come and join us for a week you'll never forget. You'll discover crystal clear waters on the north coast of the Dominican Republic and the fabulous spot of Cabarete. It's a great opportunity to travel to new places, meet guys and girls from all over the world, and to share your passion for kitesurfing. And get kiteboarding photos of yourself with our professional photographer, Olivier Moro.